It all started when Miranda, a 12 years old girl who lives in New York City, received notes from a stranger. It was kind of scary because the writer seemed to know what would happen in the future. He also asked Miranda to do weird things, like telling him where she put her house key, writing him a letter, and telling nobody about the notes. Meanwhile, everything in Miranda’s life was also changing. Sal, her long time best friend, got punched on the street one day, and did not want to talk to her anymore. Miranda started to hang out with Annemarie and Collin, and they got job in a sandwich place near the school. And strangers appeared in her life as well: Marcus, an unusual boy who loved to talk about time travels, Julia, who used to be Anne marie’s best friend before Miranda, and the laughing guy (who was also homeless) at the corner of Miranda’s house. Did one of them write the notes to Miranda? Reading this book is a really enjoyable moment. 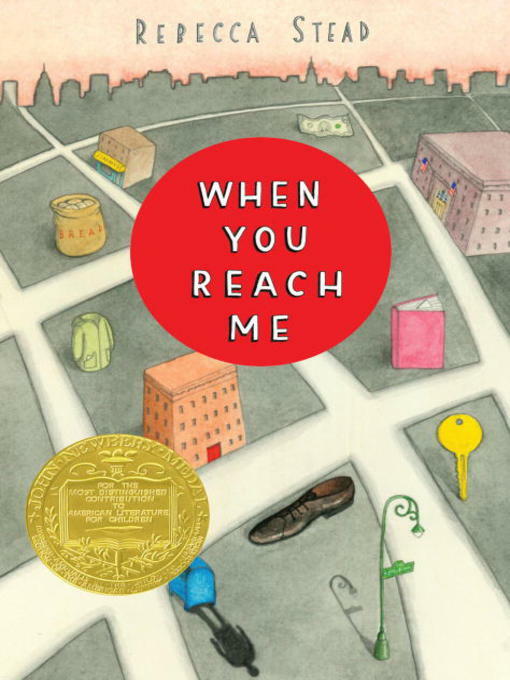 I always love Newbery books, and this one is no exception. It is the mixture of A Wrinkle In Time (which is Miranda’s favorite book, by the way), Time Traveler’s Wife (without the love scenes, of course), and Westing Game (at least, the mysterious bits of the book). It could make you still thinking long after you closed the book, and tempted you to open it again, to try figuring out some loose ends. The ending is also great, sad but hopeful in the same time. ohhh aku malah baru tau bakal ada terjemahannya lho =) iyaaa bagus kok bukunya…mudah2an terjemahannya juga keren yah!